On November 17, 2017, UACT submitted written comments the US Food and Drug Administration’s request for comments concerning, “Administering the Hatch-Waxman Amendments: Ensuring a Balance Between Innovation and Access.” The call for comments followed a public meeting hosted by the FDA in July 2017. 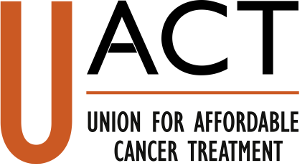 The comments submitted by UACT call for the FDA to support three measures that would help increase access to cancer treatments and other medical technologies. These measures include compulsory licensing as leverage for the proposed Medicare negotiation powers, the FDA to require greater transparency of R&D costs as a condition of marketing approval, and support for feasibility studies to explore business models that delink R&D costs from product prices. UACT’s full comments as submitted to the FDA are available here. For more information on the the meeting, call for comments, and links to comments submitted by other organizations, please visit the Federal Register notice, Docket FDA-2017-N-3615.